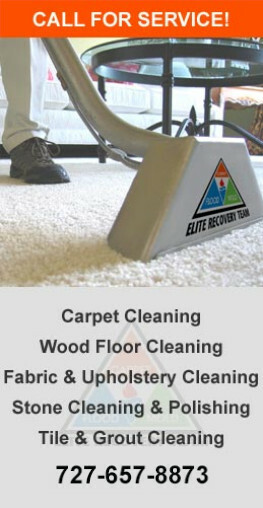 We are the Elite Recovery Team, a premiere floor cleaning company and restoration services provider. We sincerely appreciate your visit to our website today. Elite Recovery Team was formed to provide elite customer service that is uniquely tailored to the needs of each Tampa Bay customer. We are especially proud of the fact that the vast majority of our current and former customers return for business after our initial servicing. As time has progressed, organic cleaning agents have exploded in popularity. They now play a critical role in the cleaning industry throughout the world. Elite Recovery Team makes use of the highest quality technology and cleaning products to enhance the cleanliness of our customers’ living and working spaces. Aside from improving the quality of compromised surfaces, green cleaning products also preserve the integrity of the planet for current and future generations. This is precisely why we primarily use environmentally friendly organic cleaning solutions for all of our jobs. Elite Recovery Team is fully dedicated to making use of the latest in cutting edge technology. We have never stopped in our quest to provide the best possible service ever since we launched our business years ago. Regardless of whether you need a floor to be cleaned or flooded spaces extracted or furniture to be restored, we will perform the work with the sole goal of exceeding your standards and expectations. Your satisfaction is all that matters. We understand that customer needs are constantly evolving so we continuously strive to improve our technology as well as our services. There are a number of differences between Elite Recovery Team and those big box companies. We go out of our way to build a solid rapport with each customer with the aim of developing a mutually beneficial relationship that stands the test of time. This means we will get to know you and gain a comprehensive understanding of the nuances of your specific cleaning or restoration projects. We proudly admit that each unique project helps us figure out how to do our job better as time progresses. While we can confidently say that we know more than our competitors, we also never stop learning. Give us the opportunity to get to know you and improve the quality of your Tampa Bay home or business. Our cleaning and restoration services for floors and upholstery are absolutely unmatched. Reach out to us today by dialing 727-657-8873.